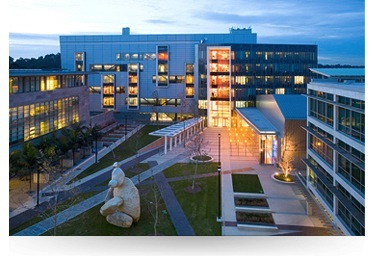 The 2013 International SenseCam Conference will be hosted at Calit2 (Atkinson Hall) on the UCSD campus in La Jolla. The meeting will take place on Monday, November 18, and Tuesday, November 19, 2013. This two-day conference in cooperation with ACM and SIGCHI is the fourth in the SenseCam series and will bring together international experts in computational science, behavior science, human-computer interaction, health sciences, and related fields. This gathering will facilitate innovative, transdisciplinary discussions of image and lifelogging data, including associated ethics, analysis, applications, design and user experience. The conference will feature keynote speakers, expert panelists, investigator presentations, and student posters, and it will aim to develop guidelines to allow comparable methods across studies to advance the science, as well as present current research exploring the integration of lifelogging technology and the interaction with the associated technology. In particular, we hope to identify new applications and opportunities to use images to change behaviors – demonstrating that a picture truly is worth a thousand words. All accepted submissions will be published by ACM, the Association for Computing Machinery, as part of the International Conference Proceedings Series and made available on the ACM Digital Library. Selected submissions will be invited to be part of a special issue of the International Journal of Mobile HCI. For more information, please contact the Sensecam Organizing Committee at sensecam@ucsd.edu. Notification of acceptance will be August 15, 2013. + Jim Gemmell will give one of the SenseCam 2013 Keynotes!